I’m warning you in advance that this post is going to sound like sour grapes. And, in fact, some of the motivation for writing it in the first place is sour grapes. But I’m here to tell you that the College Football Playoff process that was rolled out to great fanfare only a few years ago is already broken. Who made the college football playoffs last year? Alabama, Clemson, Oklahoma, and Georgia. Those same four teams finished in the top five this year. It was only because Notre Dame ran the table against a weak slate of opponents — and, because ND is nominally independent, a slate that doesn’t include a conference championship game — that college football fans everywhere avoided watching the same four teams play each other again this year. In the five years the College Football Playoff has been in existence, Alabama has made it every year. Clemson has made it four out of five times. Oklahoma has made it in three of the five years. It’s the same old, same old. And, for Ohio State fans, what’s especially galling is that this year the playoff selection committee ranked a two-loss SEC team that didn’t win its conference — i.e., Georgia — ahead of a one-lose Big Ten team that won its conference championship. I can understand Ohio State, which got whacked by Purdue during the regular season, being ranked behind Oklahoma, even though I think the Big 12 is a pretty weak conference. But I don’t understand how a one-loss champion of a major football conference like the Big Ten can be ranked behind a two-loss non-conference champion. To me, that result says that the selection committee has quaffed the SEC Kool-Aid and lost any claim to objectivity. Every year we start with the presumption that the SEC is the best conference in college football, and every year every inference goes in the SEC’s favor. Who did Georgia play out of conference this year? Austin Peay, Middle Tennessee State, and the University of Massachusetts. They aren’t exactly powerhouses, are they? The rest of the schedule is SEC teams. Georgia got pummeled by LSU and played Alabama close before losing. The latter result reflects favorably on Georgia only if you conclude that Alabama is a bunch of supermen — but we don’t know that, either, because Alabama played only SEC teams, along with an out-of-conference schedule that included Louisville, which ended the season 2-10, the Citadel, Arkansas State, and University of Louisiana-Lafayette. The system needs to be changed. The playoff should be expanded, and every major college conference champion should be included. I happen to think that Ohio State could give Alabama, Georgia, and any other team a good game — just as it did in 2014, when the Buckeyes somehow beat mighty Alabama and went on to win the national championship, to the surprise of every pundit and talking head on ESPN. The champion should be crowned on the field, not in backrooms based on hype. On Friday the HJ lunch group hoofed it down to the far southern reaches of downtown Columbus, past the Columbus Commons, past the High Street construction sites, and past the Great Southern Hotel, searching for another stop on the continuing random restaurant tour of the downtown area of Ohio’s capital city. Our destination was Dempsey’s Food and Spirits. Located at the corner of High and Mound Streets, catty-corner to the old Franklin County courthouse complex, Dempsey’s is housed in one of the oldest surviving buildings in downtown Columbus. It’s been operating for about six years, but of course none of us had tried it. More’s the pity! Once you get past all of the Notre Dame paraphernalia — it is an Irish pub, after all — Dempsey’s is a fine lunch option, and looks like it would be a good place to stop for a cold one after work, too. I asked our waiter Molly (another crucial indicator of a legit Irish pub setting) whether Dempsey’s had a specialty, and she recommended the meat loaf melt sandwich. She strongly encouraged getting it with pickles, but being gherkin-adverse I opted for the pickle-free version. The Bus-Riding Conservative, being pickle-friendly, went all in for the sandwich in its original format. We agreed that, with or without pickles, the meat loaf melt is spectacular — melty and gooey, with excellent and subtly flavored beef and sausage meat loaf, served on crunchy, buttery Texas toast that will leave you licking your fingers and hoping for more. I noticed that the BRC was being unusually quiet during our lunch and glanced over to see that he was hoovering down the sandwich, pickles and all, with remorseless efficiency and had cleaned his plate while I was only about halfway done. JV reported that his Big R reuben was quite good. The Unkempt Guy. however, sniffed that his fried bologna sandwich was only of average quality, apparently lacking the Flintstone-like dimensions that he’s used to up in Delaware County. Since I don’t like bologna, this did not trouble me. 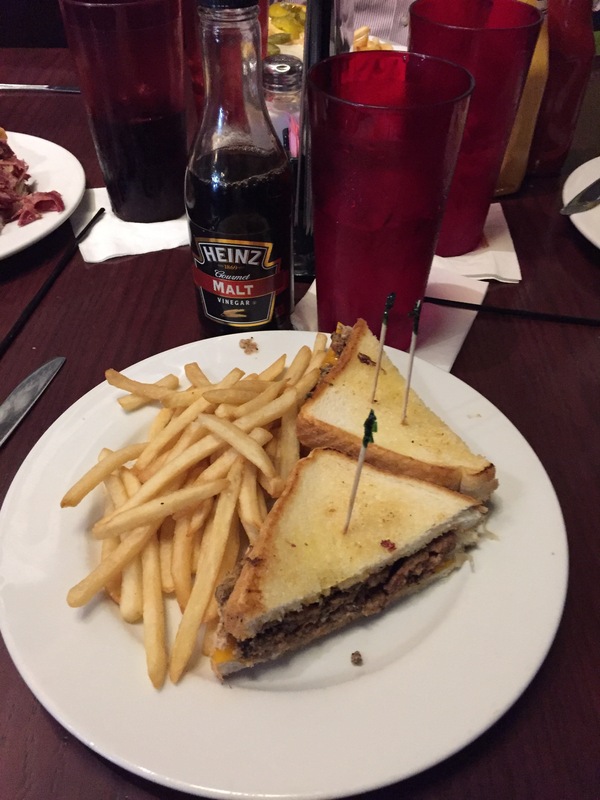 We’ll be adding Dempsey’s, and the succulent meat loaf melt, to our lunch hour rotation. And the hike down south and back will just help to burn off a few of the carbs we’ll be consuming on our next visit. Look, I know a lot of pundits and Ohio State fans are at the point where the Buckeyes have to win every game by 50 points and win the national championship, or the season is deemed a failure. I think that’s ridiculous, but it is what it is. This was a great season, by any rational measure. If you are an Ohio State fan, you define season success by whether you beat Michigan. This year, the Buckeyes trounced the Wolverines, in Ann Arbor. Michigan was a darned good team — they smashed an SEC team, Florida, in their bowl game today. 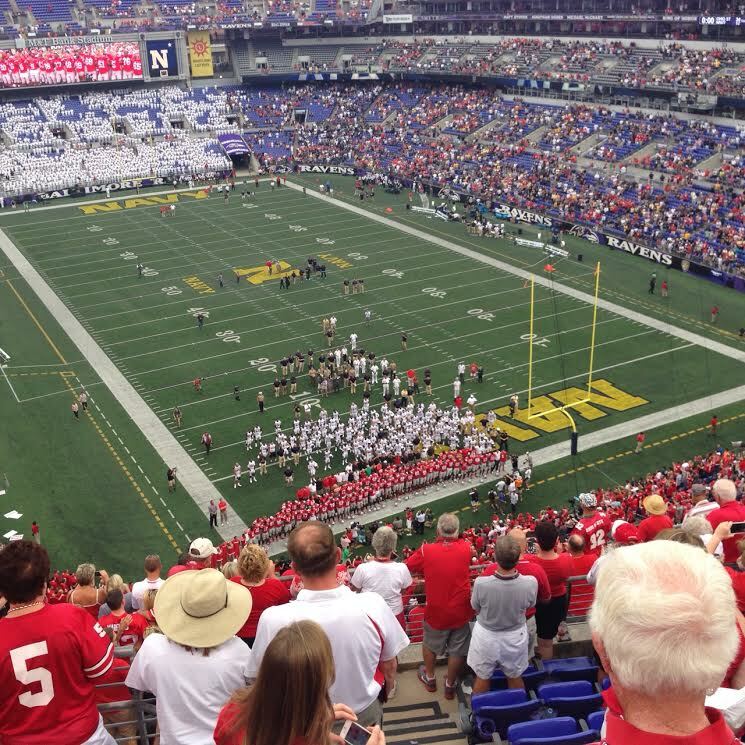 And then Ohio State won its bowl game today, convincingly beating a very solid Notre Dame team in the Fiesta Bowl. Those of us who lived through the Cooper era will never forget it, and will always treasure every win against That Team Up North and bowl game opponents because we will always remember, with a grimace, what it is like to end a season with a painful belly flop. 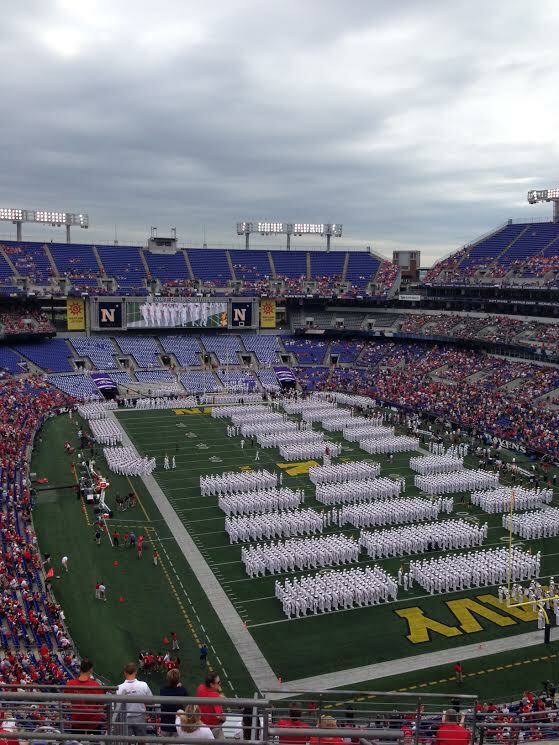 People are upset because Ohio State lost one game, played in a driving rainstorm, on a last-second field goal. But when your team finishes 12-1, wins its crucial rivalry game and pounds a traditional power in a New Years Day bowl game, you can’t fairly be heard to complain. If you do, you’re really as spoiled as the appalling Affluenza Kid. A lot of Buckeyes have made the last few years really enjoyable for those of us in Buckeye Nation and will (in some cases probably) be moving on. Thanks, Braxton Miller! And Joey Bosa. Ezekiel Elliott. Cardale Jones. Taylor Decker. Adolphus Washington. Joshua Perry. Jacoby Boren. Other seniors who have won 50 games in their four years. And, perhaps, some other juniors who think it’s time to take their talents to the NFL. They have accomplished everything you could ask for, and I will always remember cheering myself hoarse and screaming “ZEEEEEKE” as last year’s national championship game wound down and I got to celebrate a year where my team and many of these same players and coaches won it all. Thanks, guys, to all of the players, to head coach Urban Meyer and the rest of the coaching staff, and to everybody else who is part of the Ohio State football program. It’s been a pleasure, and today was the cherry on top.